Episode 10: Is your DMM Accurate? Here's How to Tell. Is your DMM (Digital Multimeter) accurate? You can send it to a calibration lab, at great expense. Here's a video review of the DMMCheck, a $38 cal lab in a tiny package. I have a weakness for precision measuring devices. There's something really satisfying about knowing a value with great precision. How accurate are your tools? This is a cheap Chinese DMM. How accurate is this thing? I'm Jack Ganssle, and welcome to the Embedded Muse Video Blog which is a companion to my free Embedded Muse e-newsletter. Today we're going to take a look at one way to check these meters out. In a lot of labs the instruments go out every year or so to a calibration lab for a complete check up, but many companies just don't do that anymore, and small outfits can't afford the sometimes large expense. This is a $38 poor mans cal lab. It's called a DMMCheck, and it's just a little board powered by a 9 volt battery. The device outputs 5 volts on these two pins which is accurate to .01%. There are also these three .1% resistors on that board, and their actual values are marked having been measured by a very high precision DMM. They're wired in series which gives you a half dozen different values you can use to check your meters. A 1 milliamp current source right here is also accurate to 0.1%. I really like the design. Note that there are cutouts around the voltage reference in order to relieve the stress on that device so that it will remain accurate. How about a demo, but what could be more boring than taking a voltage measurement? I'm not going to put you to sleep showing you a meter reading 5.000 volts. Instead, let's look at something a little more interesting. Well, this is exciting. Here's a 1K resistor and the measurement is pretty good, but it's wrong. The reason is interesting. Here's how the ohmmeter works. It sources a little bit of voltage out to the resistor being tested, and by sensing the current flow in the circuit can deduce the resistor value. But, that gives an incorrect measurement because there's actually another resistor in the circuit - the resistance of the leads of the meter. To overcome this problem a new kind of meter was developed called a four wire meter. In this case one set of leads is used to supply current to the meter, and another set of wires is used to sense the voltage developed across the resistor. Here the DMM checks 1K resistors hooked up to an HP meter and we're getting basically the same value that we saw on a cheap Chinese meter which is sort of reassuring. However, of course, as I said before, this is wrong. As you can see by the wiring there are now four wires going to that resistor just like I diagrammed on the whiteboard, and by pressing the four wire button now this meter starts to supply current from two of the wires to the resistor and use two other wires to sense the value. As you can see, the value has dropped. That's exactly what you would expect. I'll go back with two wire mode. The value goes up because of the extra resistance in those wires. It's not a substitute for a real cal lab, is it? It only does a single point voltage check, and it only has one current value. A real cal lab will check an instrument over its entire range of operation, but this DMMCheck does give a reasonable sense about the accuracy of some tools. It's $38 with 25 part per million resistors, or for an extra $4 you can get 10 part per million resistors. 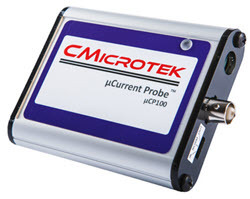 For that price I figure this is a great asset to any lab that doesn't do regular formal calibrations. For embedded work the 5 volt output is just about ideal since so many of our voltages are in the few volts range. There you have it, a cheap and useful way to get confidence in your meters. Thanks for watching. Don't forget to go to ganssle.com where there are over a thousand articles about building embedded systems and plenty of other free videos available.